I am certain that the young couple I saw was not only enjoying their kiss and embrace for obvious romantic pleasures, but also for some of the intentional symbolism, standing as they were at the front of what in Roman times was the magnificent Temple of Venus (= Greek Aphrodite). Venus was regarded as the divine mother of the Roman people as well as the goddess of romance, love, sexuality, beauty, etc. — Just the right place for a young couple to enjoy a pleasurable kiss and embrace! 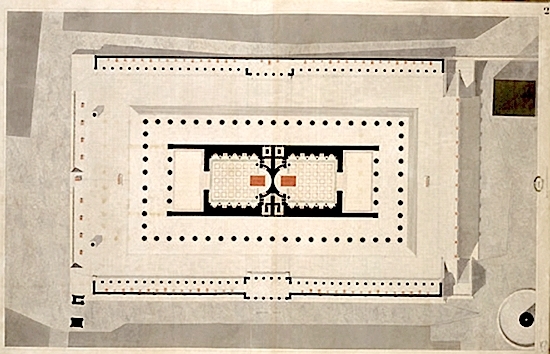 Proposed 19th century view of Temple of Venus. All cultures are filled with some contradictions and paradoxes. On the other hand, sometimes what at first seems to be a contradiction can in reality be the evidence of a somber situation. If you stand on the west side of the famous Flavian Amphitheater (=Colosseum) in Rome and look westward toward the equally famous Roman Forum, you see the sparse remains of this temple of Venus. Since many tourists often only look at what is currently standing tallest and most intact among the ruins, this temple is not one of the most visited monuments among the numerous remains within the rectangle formed by the Roman Forum and the Colosseum. Google map showing Colosseum on right and the temple and forum on center and left. it was decreed by the senate that silver images of Marcus [Aurelius] and Faustina [the Younger, wife of Roman Emperor Marcus Aurelius] should be set up in the temple of Venus and Rome and that an altar should be erected whereon all the maidens married in the city and their bridegrooms should offer sacrifice (Roman History, LXXI.31). Overview of Temple platform with both cellae in red where statues of deities were. goddesses, the goddess Venus and the goddess Roma. Often temples with two deities had two cellae (inner chambers where the idol stood). In this particular arrangement the cellae were not next to each other but rather back-to-back, forming one long temple. The part of the temple with the cella of the goddess Roma faced the Forum Romanum, while the part with the cella of the goddess Venus faced the famous Colosseum, a venue seating about 70,000 spectators. Remains of cella in Temple of Venus, facing Colosseum. 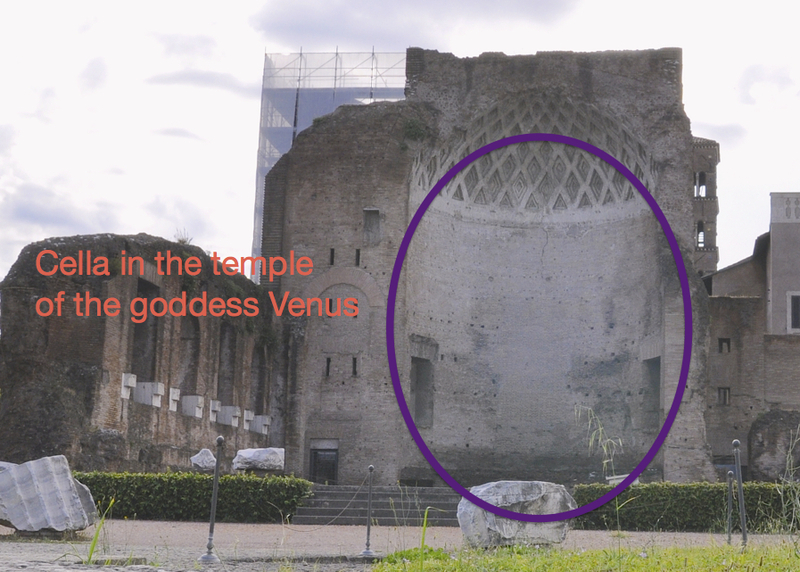 Photo property of Richard E. Oster, Jr.
What seemed to me at first to be a major contradiction —the juxtaposition of the temple of Venus and the Colosseum —made sense after further reflection. Although initially disoriented by the physical proximity of these two marvels of Roman engineering, one designed to promote the worship of love and beauty and sexuality and the other to celebrate the comfortable viewing of massive carnage and pain, the wholesale slaughter of human beings and animals, in the end it made complete sense. This “city planning” stratagem by the Roman Emperor Hadrian did bespeak loudly the zeitgeist of Rome at its peak of luxury and wealth. 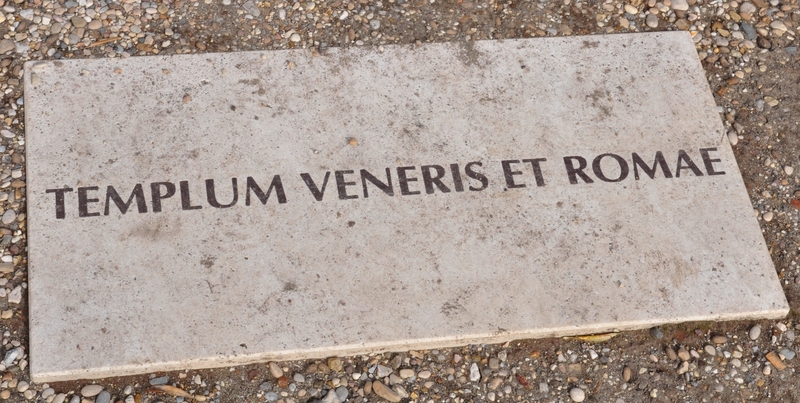 In Rome, the coin of the realm in the time of Hadrian was personal pleasure, likewise attested by Juvenal’s famous reference to appeasing the masses in Rome with “bread and circuses” (panem et circenses). These two monuments, the temple of Venus and the Colosseum, represent both sides of the same coin of the realm. Although we Westerners might approve of Venus’s love and beauty while we wince and blanch at the extraordinary human pain, injustice, and carnage in the Colosseum, many denizens of Rome found the activities in the Colosseum to be quite pleasurable also. To be sure, the pleasures afforded by Venus were different from those pleasures provided by the excitement coming from human torture and bloodlust (as the latter was clearly depicted by the Roman author Seneca). But never doubt, for even a moment, whether both venues offered pleasures to the Roman population. Google earth map. Quick walk from temple of Venus (left center) to Colosseum (right center). A stroll from the temple of love, beauty, and sensuality to the venue for the cries and screams coming from the Colosseum was a matter of only a few minutes. The proximity of these two architectural behemoths seems to followers of Christ to reveal an unfathomable absurdity, that was not apparent to those living during this ostensible zenith of Roman civilization. The more the inhabitants of Rome looked for satisfaction from pleasure as the gold standard to evaluate a “good time in the city,” the more counter cultural and anti-urban culture the early Christian movement appeared. What a vast gulf separated the dystopian values associated with these architectural masterpieces of Rome from the contrarian views proclaimed by the Apostles and others! The inexorable intrusion of the Christian faith into the Roman Empire came about because of the proclamation of a different Empire with a different King than Rome could ever have imagined, and all this without benefit of the marvels of engineering and architecture or the political bully pulpit! 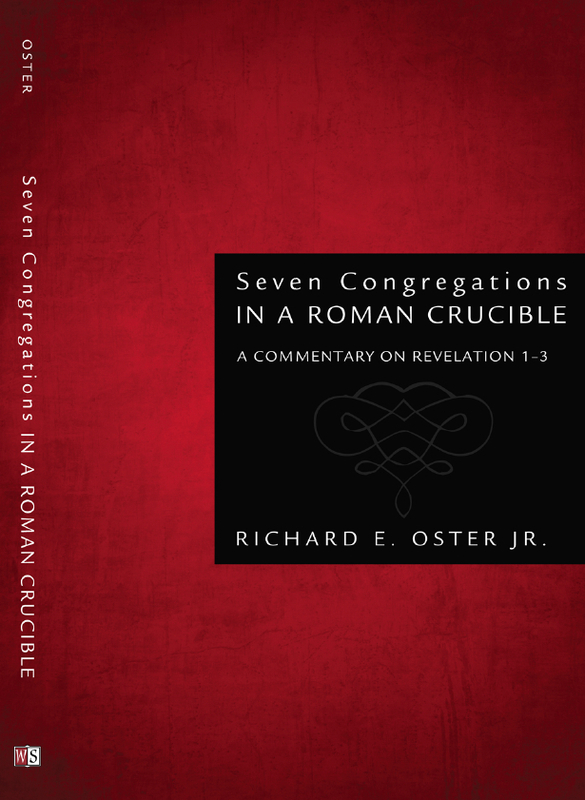 As I was completing this post, the thoughts of an early Christian writer came to mind, and you deserve to read his thoughts if you do not already know them. They [Christians] dwell in their own countries, but only as sojourners; they bear their share in all things as citizens, and they endure all hardships as strangers. They are in beggary, and yet they make many rich. They are in want of all things, and yet they abound in all things (chapter 5:5-13). And marvel not that a man can be an imitator of God. He can, if God wills it. Choose your Kingdom and its pleasures wisely! ← Thoughts about Hell from Jesus Himself. As I read your article I thought of the two mainstays of film and theater… Romance/Love/Sexuality and Violence/Battle/etc. I think the connections you see are right on target. These 2 mainstays continue to thrive in certain civilizations. Very sad!